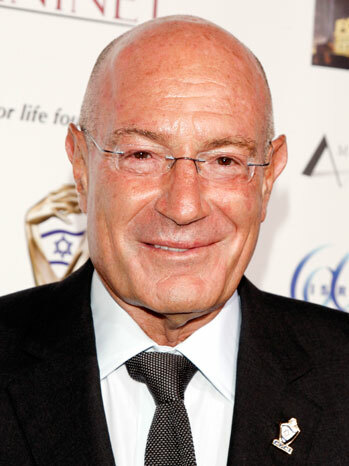 Arnon Milchan is one of the most prolific independent film producers in Hollywood history, and a former key Israeli intelligence operative from mid 1960's to the mid 1980's.. Milchan produced many films such as The War of the Roses, Once Upon a Time in America, Pretty Woman, Natural Born Killers, Under Siege, The Devil's Advocate, The Fountain, Unfaithful, L.A. Confidential and many others. He is an Israeli citizen, and a resident of Israel. Milchan was born in Rehovot, British Mandate for Palestine, today's Israel, in 1944, to a father who owned a fertilizer company, which Milchan turned into a successful chemical business. He also earned a degree from the London School of Economics, before being recruited to LAKAM, a top secret Isreali intelligence organization responsible for obtaining technology and material for Israel's nuclear program, and other highly secretive programs. Milchan became involved in the American movie business in 1977, after an introducton to American producer Elliot Kastner. Most notable among Milchan's film collaborations was his early work with Martin Scorsese. He developed close friendships with Robert De Niro, director Roman Polanski, and directors Sergio Leone, Terry Gilliam and Oliver Stone. Milchan started his own production company in 1991 called New Regency Productions. Through his company, in partnership with Rupert Murdoch at 20th Century Fox, and other business ventures, such as Puma, Milchan has attained a net worth estimated at about $4 billion as of 2011, and is listed as the 268th richest person in the world by Forbes. Arnon Milchan has produced many classic films such as Once Upon a Time in America , Brazil , Pretty Woman , Under Siege , Natural Born Killers , Boys on the Side , L.A. Confidential , Unfaithful , and Knight and Day , among others. Milchan is also the owner of the WTA broadcasting rights and is married to former South African tennis professional Amanda Coetzer. He is also the owner of the Israeli Network which transmits Israeli television programming to the United States and Canada. He is also a partner in Israel's all-news cable Channel 10. Whole or part of the information contained in this card come from the Wikipedia article "Arnon Milchan", licensed under CC-BY-SA full list of contributors here.